Our pupils generally take 7 subjects to Leaving Certificate for certification. Pupils choose four subjects from the following option subjects: Art, Engineering, Technical Drawing, Accounting, French, Construction Studies, Biology, Chemistry, Physics, Business , Geography, History and Agricultural Science. Religious Education, Careers, Physical Education are also studied by all pupils but not for examination. We also offer an extra subject Leaving Certificate Vocational Programme [LCVP]. For full subject descriptions please click Leaving Certifciate Subject Descriptions under our Career Guidance section of our website. 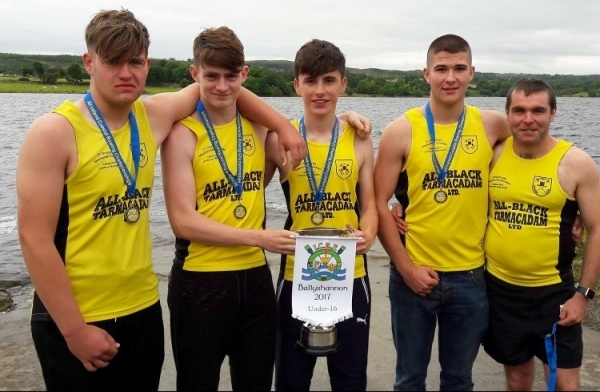 All Ireland Rowers - Well done Lads!